You are here: Home / Events on the shore / Tipi tent. If you’re looking for something truly unique and handcrafted this Christmas, then you are on the right place. Hand stamped tipi tent made of 100% cotton with wooden poles with ties. 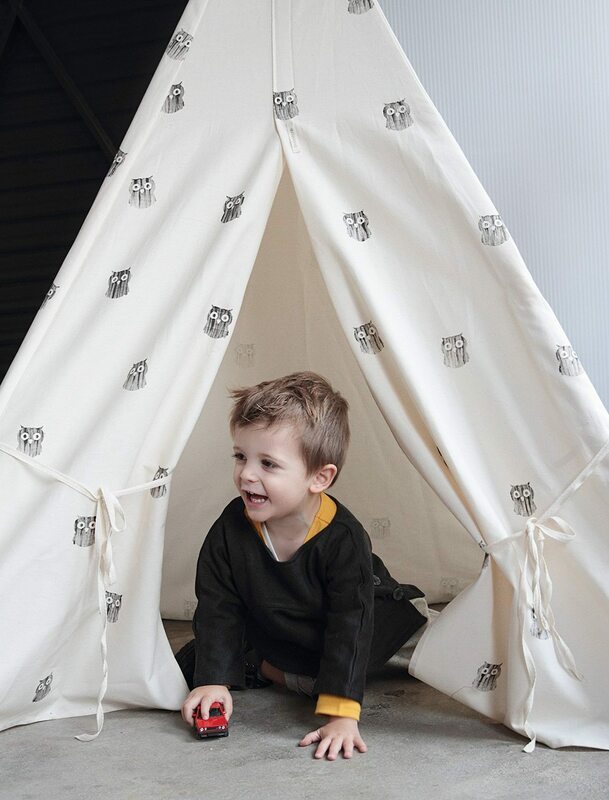 This tipi tent is a bebster room must have. Bring some extra Christmas spirit into your home with this specially designed tent.